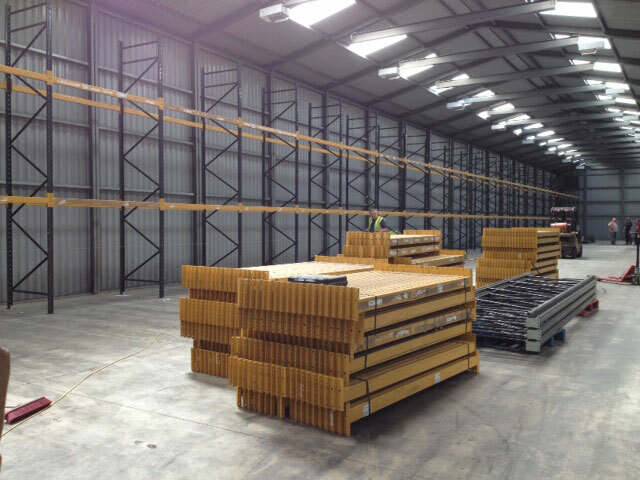 Are you looking for wide aisle pallet racking here at 2h Storage Solutions we have over a decade of experience in designing, supplying, repairing and installing wide aisle pallet racking? 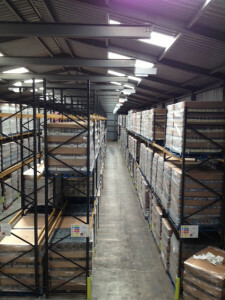 Wide aisle pallet racking is the most commonly used system to store pallets of product or equipment in the UK. It allows each pallet to be accessed quickly and independently unlike drive in pallet racking. Wide aisle pallet racking is the term used to describe conventional pallet racking or APR adjustable pallet racking as it is described in the industry. The aisles are usually set between 2.5 metres and 4 meters with most warehouse using reach trucks setting aisle sizes between 2.5 metres and 3.5 meters with standard counterbalance forklift trucks operating in 3.5 metre plus aisles. The limiting factor in the height that the pallet racking can be built to is the building height and the height that the forklift truck will reach to. It will give you a stored density rate of around 40% but we often combine other systems or specify articulated fork lift trucks to maximise the warehouse storage density. One of the advantages is that it can be adjusted to allow for changes in pallet heights and can be installed very quickly. 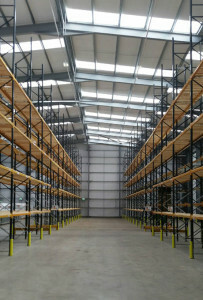 With over five thousand pallet positions of wide aisle pallet racking being able to be erected in just over one week! It requires very little maintenance and is very durable in the unlikely event you suffer impact damage it is quick and easy to repair. Although standard wide aisle pallet racking is made from standard components it is designed specifically to meet the requirements of the building and the product being stored. All our pallet racking is designed from SEMA approved pallet racking and will be installed to the meet all appropriate health and safety standards. So give us a call today and we can arrange to get one of our Pallet Racking Design experts to your site for a free of charge site survey and consultation.